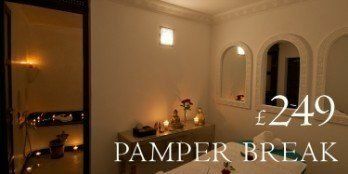 A special break for Mum and daughter, a memorable birthday celebration with friends or a more refined hen party. Whatever the occasion our ‘Girls Weekend’ is the perfect package for groups of between 2 and 17 ladies at the fantastic price of £149 per person (Euros 175). Our Riads have twin and triple bed rooms, all with en suite facilities so you can be sure that everyone will be comfortable and no one left on their own even if there are an odd number of people in your group. 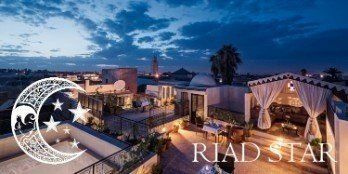 Taking a whole Riad is a fantastic way to enjoy Marrakech. 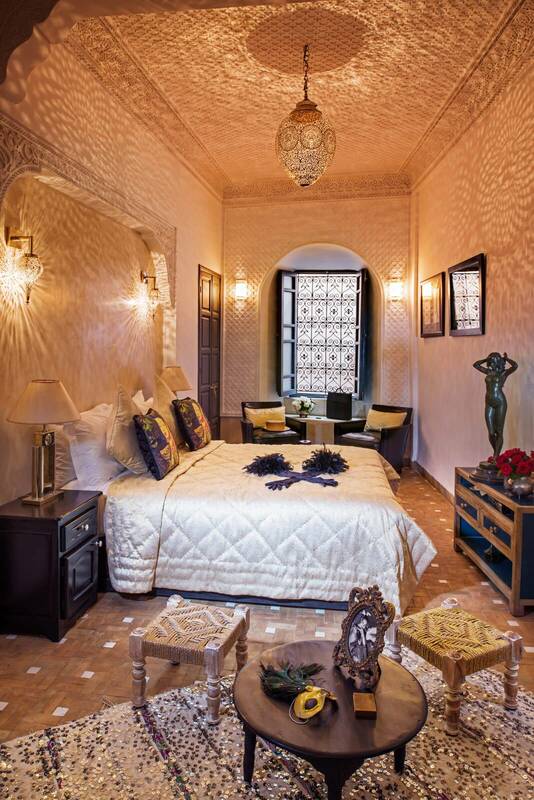 Our Traditional Dar Habiba sleeps 9 (2+2+2+3); Magical Riad Papillon sleeps 11 (2+2+2+2+3); and elegant Riad Cinnamon sleeps up to 17 in four spacious suites (3+3+3+4+4). After we have confirmed availability it could not be easier to arrange payment and secure your booking. Either your group leader can pay for you all or we can send each individual a personal email linking to our secure online payment gateway. Just let us have a list of email addresses and we will arrange the rest. More good news- most credit and debit cards are accepted and there is no card processing charge. 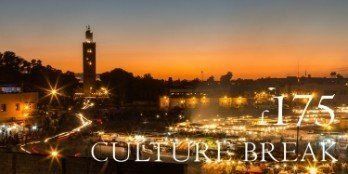 * Three nights in the Luxury Marrakech Riad most appropriate for your group. 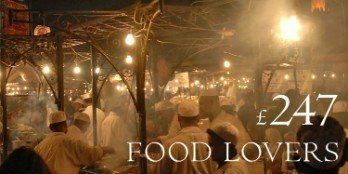 * Arrival evening banquet with a variety of Moroccan specialities usually including a traditional Marrakechi Tanjia of Lamb. Our Riads are true boutique hotels, we prepare each meal to order and cater for most dietary requirements at no extra charge. * Complimentary entertainment for the arrival banquet when the group is six or more, this could be Simohamed the tanjia cook and charismatic gnawi musician, subject to his availability. * Your room or suite will be equipped with fine cotton sheets, towels and bathrobes, room safe, ipod dock, hairdryer, and airconditioning (essential for the Marrakech summer). 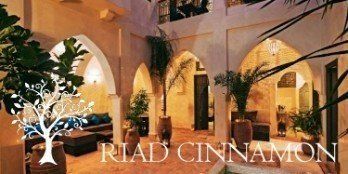 * All our Riads have complimentary Wifi in the patio and shared areas. Please note that Wifi reception can be variable inside the rooms- our Riads are converted medieval buildings with walls up to four feet thick! + Extra nights £40 (Euros 48) per person. – Drinks and meals other than the arrival banquet. Make contact today to secure your preferred travel dates at the great rate of £149 (Euros 175) per person.